This weekend is a big one for Game of Thrones - Sunday marks the season 7 finale. What will happen with Dany and Jon? Will everyone come together to fight the White Walkers, or will Cersei blindside everyone? I personally can't wait to find out, but let's jump back a bit for this week's scene. 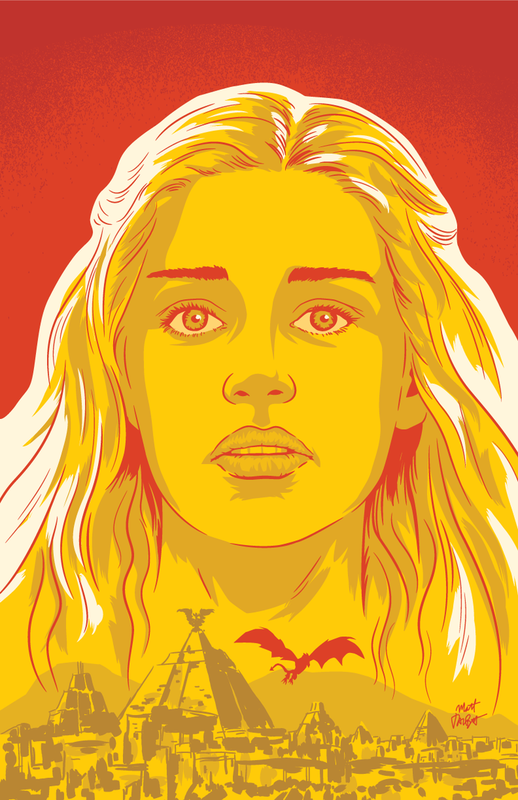 Back in season five, Dany was ruling over Meereen. In the scene below, a rebellion by the Sons of the Harpy interrupts a match in the fighting pits, in which Dany's once and future advisor Jorah Mormont was a combatant. Dany and co. will try to get away, but they get forced into the middle of the arena. All will seem lost, with Dany seemingly resigning herself to her fate, until a dragon's screech silences the attack. Drogon's screech coming out of nowhere, his sudden appearance and his attack on the Sons of the Harpy never fail to give me chills. But this scene is chock full of great moments. It goes so quickly from Jorah prevailing in the pit to saving Dany from the SotH (man those masks are creepy) and then the Drogon attack, it's enough to make your head spin. Drogon. Rips. And. Burns. So. Many. Bad guys. And then Dany herself finally gets in on the action after her dragon takes a few spears to the neck. The fact that she pulls a spear out of Drogon and he doesn't burn her alive is a testament to her control over the animal. His roar in her face and the subsequent tender moment is great. Of course, after this, Dany goes on to conquer her enemies in Meereen and elsewhere. Hopefully she'll continue to do so on Sunday. Wow!Really love this Exciting and Interesting Trailer.I was waiting for it since I got to Know about it.Would be an amazing movie.Good Job.Keep it up.